1. Complete the rope climbs without legs, start seated, and maintain an “L”. 2. Complete 100 consecutive double unders. 3. Is this a “grip workout?” How do your hands and forearms feel during the progression of farmers walk, to rope climb, to double under? Greg Amundson with Trond Wetter. Trond Wetter is the highest ranking Krav Maga Instructor in Norway, one of the most respected Krav Maga Instructors in all of Europe and co-teaches international Krav Maga Courses in Israel. 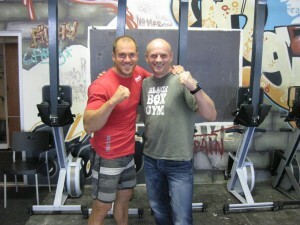 Trond is a part owner of Black Box Gym Norway. A man of immense character and energy, Trond has a unique way of making everyone he meets feel like the most important person in the world. 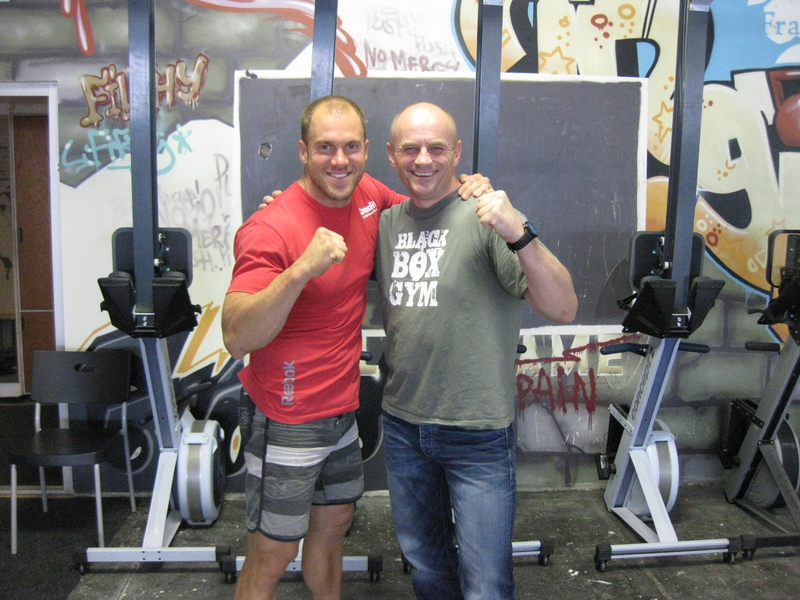 Thank you Trond for welcoming CrossFit Amundson to Norway! We are honored to be part of your extended family. Trond Wetter to Greg Amundson during training at Black Box Gym Norway. If you’re feeling frisky this Sunday, drop by CrossFit Amundson! Greg and crew will be hanging out preparing for the grand opening on Monday, July 2, 2012. See you in the gym!